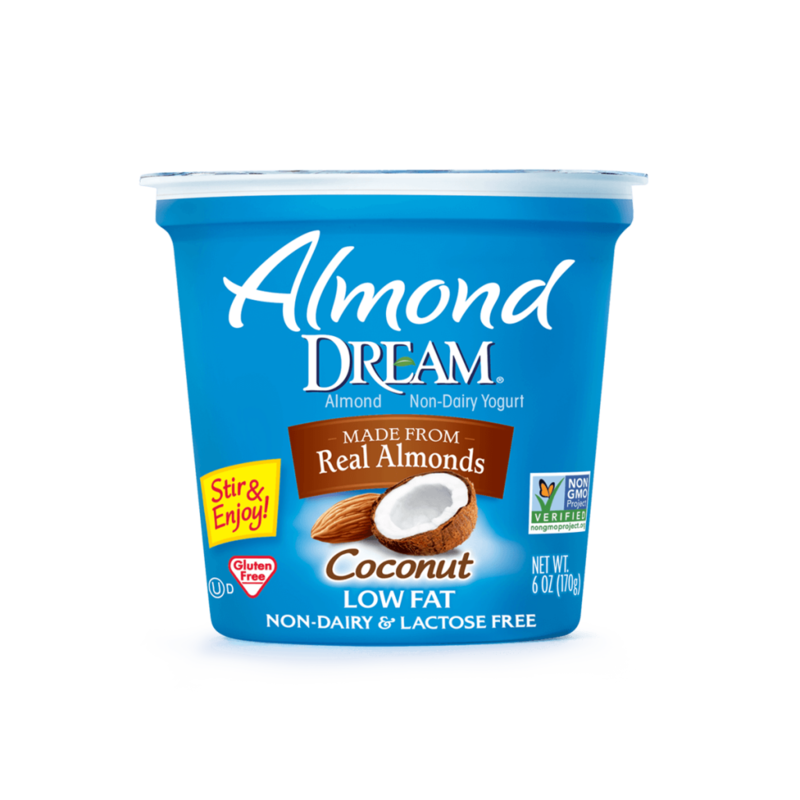 The delicious taste of rich and creamy Almond DREAM® Coconut Non-Dairy Yogurt provides a tropical twist to your dairy-free day. Enjoy alone or use in your favorite recipes. ALMOND BASE (WATER, ALMONDS), TOASTED COCONUT BASE (WATER, EVAPORATED CANE SUGAR, NATURAL FLAVOR, TOASTED COCONUT, PECTIN, LOCUST BEAN GUM, CITRIC ACID), STABILIZER BLEND (TAPIOCA MALTODEXTRIN, CORN STARCH, CAROB BEAN GUM, PECTIN), EVAPORATED CANE JUICE, TAPIOCA FIBER, CULTURED DEXTROSE, MALTODEXTRIN, TRICALCIUM PHOSPHATE, NATURAL FLAVORS, CULTURES*. 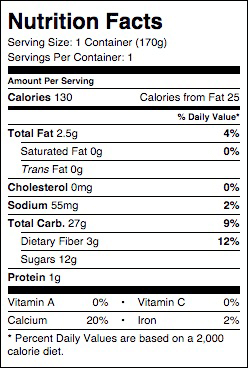 CONTAINS: ALMONDS, COCONUTS. *CULTURES: S. THERMOPHILUS, BIFIDOBACTERIUM LACTIS, L. ACIDOPHILUS, L. CASEI, L. RHAMNOSUS, L. DELBRUECKII LACTIS & BULGARICUS.